Occasionally, I get distracted by the bigger and flashier stuff BMW offers, like the new 8 Series and the new Z4, and I forget that the best driver’s BMW actually already exists. It’s the 2 Series—and, more specifically, the M2 Competition. Shame, shame, shame on me. 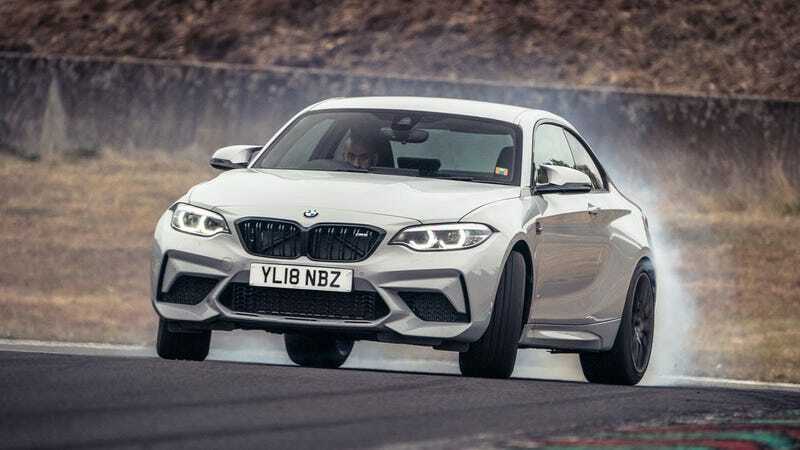 To recap, the BMW M2 is dead and now there’s only the M2 Competition left. It has the engine of the M3/M4, a new chassis, a slightly newer cabin, new brakes and 405 horsepower. I haven’t driven it, but Chris Harris has at the Circuit de Charade in France. He liked it. Like, really really liked it. Sure, the M2 Comp weighs a little more and has ugly wheels, but apparently it drives the way BMWs are supposed to drive—which is to say that it has some damn personality that’s missing from so many cars these days. The extra power and the short wheelbase give it an alive, energetic feeling. Supposedly. I’ll take his word for it, though. He drives better than me. “There’s an element of danger,” Harris explains. The car is “spiky” and “good fun.” These are great adjectives to use when driving a sports car!